I decided to watch this documentary since I am a part of the FGC (fighting game community) and wanted to support as many different projects as possible. I’m also an “09er” so I wanted to see how far fighting games have come especially some of the more well known figures. 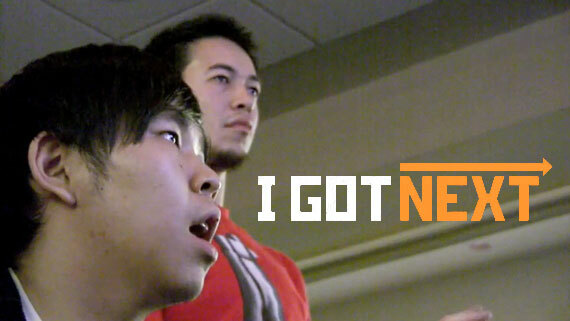 This documentary follows four professional “Street Fighter IV” players on their journey to greatness: Ryan “Gootecks” Gutierrez, Justin “JWong” Wong, Mike Ross, and Joe “iloveu” Ciaramelli. They compete in various tournaments across the country and against each other in the heated “East Coast vs West Coast” to see who is really the best. We also follow the growth of the popular “Street Fighter IV” as it had revived the fighting game genre in video games. It gained new players into the tournament scene and new people into the community. I really enjoyed that it got into the rivalry of the East Coast vs West Coast because “Street Fighter IV” reset the playing field. Before the new game was released, the coasts were divided on what games each side dominated during the dead era of fighting games when new games weren’t being released often. East Coast, especially New York, dominated in “Marvel vs Capcom 2”. Nor Cal dominated in “Capcom vs SNK 2” while So Cal ruled “Street Fighter III: 3rd Strike”. I also enjoyed that it promoted the players because they helped make the scene. I liked how seeing the seeds being planted from Mike Ross and Gootecks for what is now “Cross Counter”. I liked how Justin Wong was beginning to open the floodgates for sponsorships for players in the FGC. People overlooked the other important rivalry in the FGC. While this documentary focused on East vs West in the United States, it totally didn’t put enough focus on the other East vs West as in Japan vs USA. There were plenty of Japanese players that just invaded America to beat us in the fighting games where we thought we were godlike. Sure there was Daigo, but there were a ton of heavy hitters from Japan. I thought it also overlooked the Gamestop tournament where various players from all over the world came to compete in “Street Fighter IV”. Daigo was there along with others from Japan like Fuudo. I believed it could have planted the seeds to EVO. I really liked how this documentary also overlapped with another FGC documentary called “King of Chinatown”. While Justin Wong was trying to be the best in 2008-2009 and battling the best of the West Coast, he was also carrying the weight of his original team in Empire Arcadia. I liked how both documentaries stayed on their original paths and didn’t dabble into each other’s projects. I liked how Triforce wasn’t a factor in this documentary because it wasn’t about just Justin’s journey.